Advocating for Corporate and Individual Clients for Over Four Decades. Aviation is one of the most highly regulated industries in the world. In aviation law disputes, the stakes are always high, and the consequences can be enormous, resulting in substantial civil and/or criminal liabilities. If you need an aviation accident lawyer with extraordinary knowledge and experience in the field of aviation law, contact an attorney at Avialex Law Group, LLP (formally Michael L. Dworkin and Associates") in San Francisco, CA. We have over 55+ years of combined experience specializing in aviation law. Our founder Michael Dworkin, is himself a pilot, he is a past President and Executive Vice President of the International Air and Transportation Bar Association (previously the National Transportation Safety Board Bar Association) and is the President of the Northern California Business Aviation Association (Regional arm of the NBAA). John Van Geffen has been with the firm for over a decade and is the Western-Pacific Regional V.P. of IATSBA and sits on the Board of Directors for the Oakland Aviation Museum. Although we are a “small” firm, we have been rated among the Top 100 Aviation Law Firms by the International Air Transport Association (IATA)’s Aviation Counsel, are listed in Martindale-Hubbell’s Bar Register of Preeminent Lawyers and have been rated “A-V” by the Martindale-Hubbell Law Directory, that publication’s highest rating. We represent clients before the Federal Aviation Administration (FAA), U.S. Department of Transportation (DOT), National Transportation Safety Board (NTSB), Department of Homeland Security (DHS), in FAA and DOT investigations and certification proceedings, and in appeals before U.S. federal courts. Our aviation attorneys can assist with insurance claims, litigation, NTSB accident investigations, FAA enforcement matters, accident reconstruction and manufacturer warranty claims. Our firm handles all manner of transactions related to business aviation including charter, leasing, maintenance, manufacturing, management, finance, aircraft sales, etc. With our comprehensive knowledge of the aviation industry, we are well-positioned to litigate any aviation-related legal issue. Our aviation lawyers are experienced in asset acquisition and disposition and can assist you with letters of intent, pre-purchase inspections, financing agreements, de-registration for export, lien claims, broker disputes, non-citizen trusts, aircraft management and charter agreements, and more. We have represented airports, FBOs, hangar tenants, cities, counties, and local neighborhood groups in contract negotiations, zoning disputes and other issues involving safety, environmental impact and through-the-fence agreements. We assist aviation and non-aviation clients with general business transactions and litigation. Our attorneys are on the pulse of modern technology and mold their legal approaches to incorporate advances in legal research and litigation. The lawyers at the Avialex Law Group, LLP in San Francisco, California, specialize in aviation law and civil litigation. Because aviation frequently involves national and international legal issues, our lawyers routinely represent clients across the United States and throughout the world. As evidence of our high customer satisfaction, some clients have entrusted their legal affairs to our firm for more than 25 years. The aviation attorneys at Avialex Law Group, LLP will travel to any non-warring region of the world to meet or represent our clients. For example, we have handled aviation law cases in Australia, hazardous materials cases in Taiwan, depositions in Canada and the Netherlands, and transactional work in Mexico, the UK, New Zealand, Chile and Micronesia. 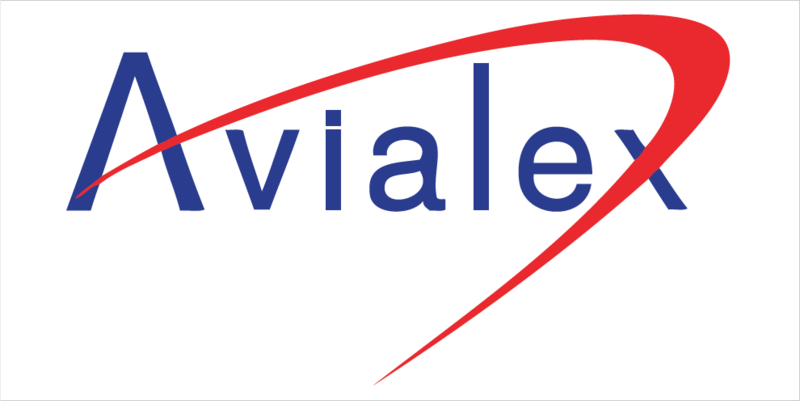 At Avialex Law Group, LLP in San Francisco, our broad experience in the aviation industry enables us to assist aviation and non-aviation clients with a range of general commercial transactions and business litigation issues. Our firm can assist with airport zoning, through-the-fence agreements, hangar leasing/construction, security, on-airport competition, MROs and fuel services. Our aircraft accident attorneys are exceptionally qualified to represent clients before the Federal Aviation Administration (FAA), National Transportation Safety Board (NTSB), Department of Transportation (DOT), Transportation Security Administration (TSA), and other agencies involved in aviation administrative, regulatory and enforcement matters. Our unique knowledge of aviation regulation and the aviation industry also places us in an excellent position to litigate any aviation-related legal issue. Our attorneys assist our commercial transaction clients with the leasing and purchasing of aircrafts, airplane hangars, yachts, commercial real estate, or office and industrial space. We guide our clients through aircraft purchase and sale transactions, addressing such important issues as inspection, registration, brokerage, sales and use tax, and insurance. Our firm has certificated mediation experts available to assist you in resolving any dispute without having to incur the time, expense and uncertainty of litigation. We assist our clients in these investigations not only representing them before the FAA and NTSB, but in establishing an emergency response and investigation protocol for the purpose of ascertaining the cause and maintaining the protections afforded by the attorney client privilege and the attorney work product doctrine. Please leave a number where you can be reached.